Just a little information about who we are and what we do. 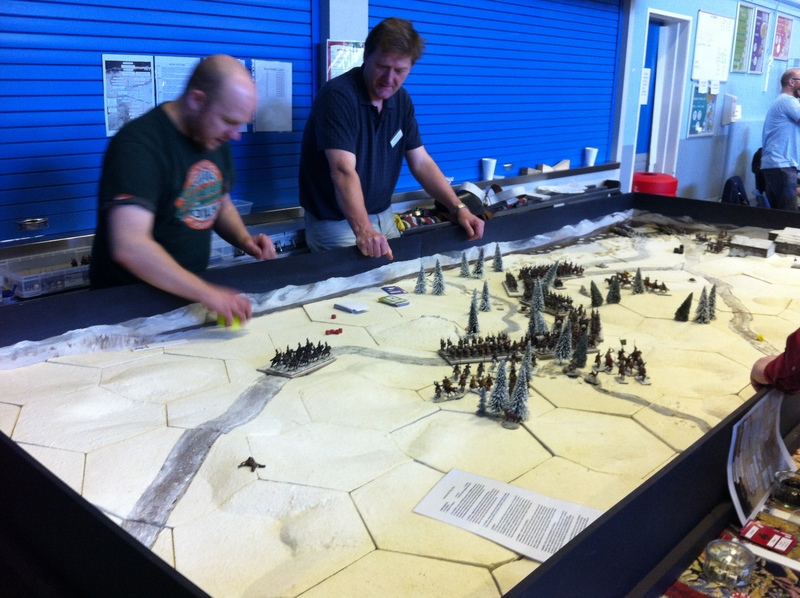 Up until January 2012 the club was known as the “Buchan Wargames Group” and was mainly centred around the Peterhead area. In its 25 years of history we have had members from the whole of Aberdeenshire and the North East of Scotland – from Banff to Aberdeen and all stops in-between. Members have and continue to come from a diverse background and age groups (youths to retirees), all linked by interest in wargaming, including fishermen, engineers, members of Her Majesty’s Armed Forces, teachers, Oil & Gas professionals, pilots, vets and artists. During this period the club was normally held at members own homes; however as the membership began to grow the decision was made to find a more suitable location for the regular club nights. As a result, towards the end of 2011 the club started to meet at its current venue, the Oldmeldrum Royal British Legion. As part of this move the club name was also changed to “Oldmeldrum Wargames Group” to better suit its new base. The groups various figure collections cover the most popular gamings scales of 1:6000, 1:3000, 1:1200, 6mm, 10mm, 15mm, 20mm & 28mm and include naval, land and air. Although the clubs main focus is on historical wargaming we also have an interest in fantasy wargaming (Warhammer, Warhammer 40K, Zombies, Pulp Fiction etc.) 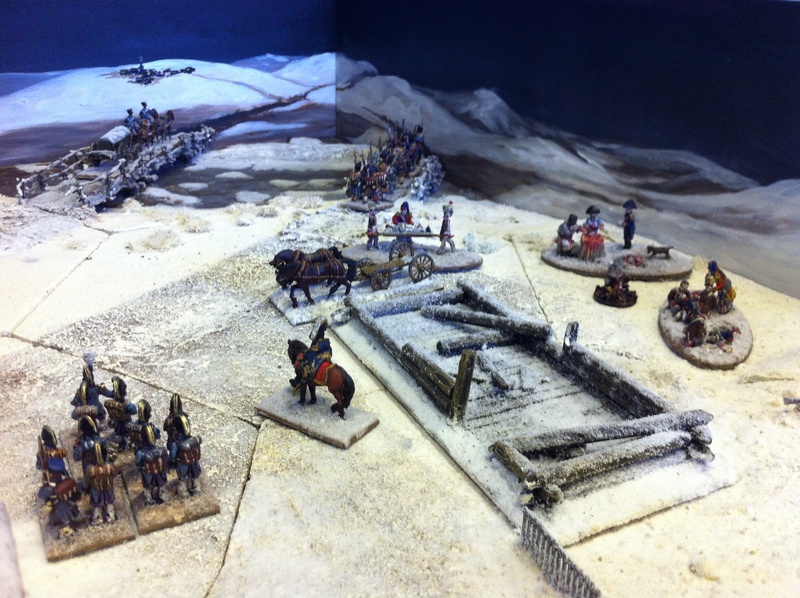 and do encourage those interested in this type of wargaming to come along. For most of the shows the club groups together in their free time to scratch build the terrain, buildings and collect and paint all the required figures and accessories. Thorough research is carried out by the members into the battle / scenario depicted including the historical background of the engagement, the forces and commenders and the uniforms and equipment involved.